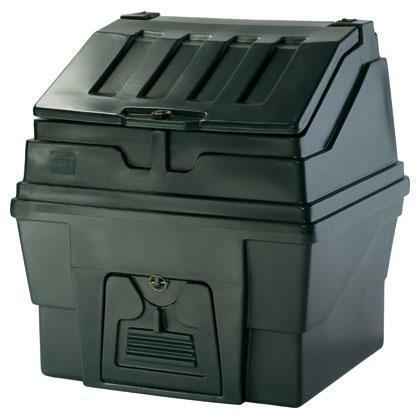 The Harlequin 300kg Coal Bunker is a large green plastic coal bunker. The bunker has a 500kg capacity and will hold approximately 6 bags of type 2 household coal. The green Harlequin plastic coal bunker is ideal for people who use their solid fuel fireplace as a main source of heating or those that wish to store more fuel because of where they live or how often they get deliveries. 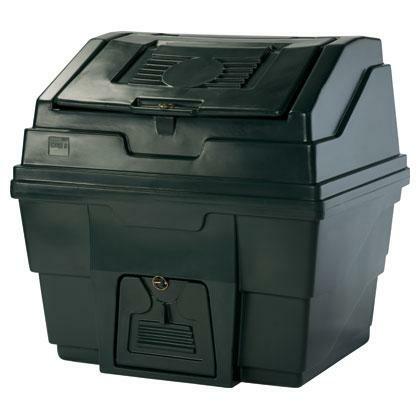 SKU: CB2 Category: Garden Storage Tags: Coal Bunker, Harlequin Brands: Harlequin. 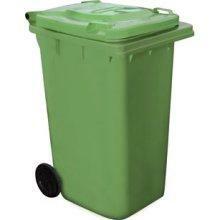 The Harlequin 300kg Coal Bunker is a large green plastic coal bunker. The bunker has a 300kg capacity and will hold approximately 6 bags of type 2 household coal. 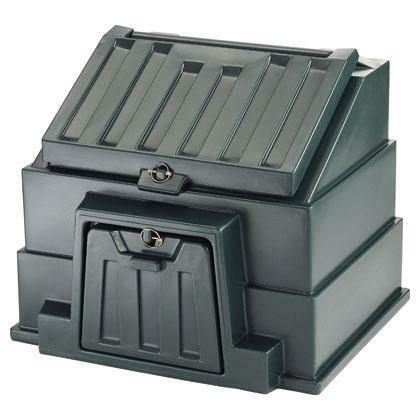 The green Harlequin plastic coal bunker is ideal for people who use their solid fuel fireplace as a main source of heating or those that wish to store more fuel because of where they live or how often they get deliveries. In green, the Harlequin is our most popular bunker. 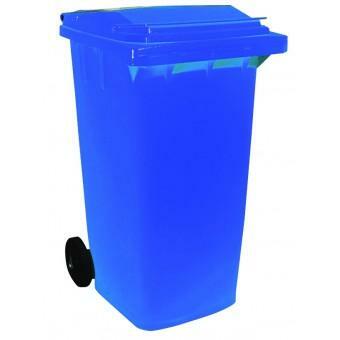 It is made from 100% recyclable ultra violet resistant plastic ensuring it will give many, many years of trouble free use. The bunker is ready assembled and extremely robust featuring a large hinged lid to allow easy access for filling the bunker and a drop down door for easy access when filling your coal hod. Both the door and the lid feature locking pins to ensure they remain firmly closed when not in use. The pins could be replaced with your own padlocks if desired for added security. IMPORTANT : Plastic coal bunkers may arrive on site with scuffs or scratches. Unfortunately we are unable to accept returns and offer refunds on bunkers in this condition.